This ticket allows access to Lollapalooza Paris 2019 both Saturday 20th and Sunday 21st of July. This ticket allows access to Lollapalooza Paris 2019, Saturday 20th of July. 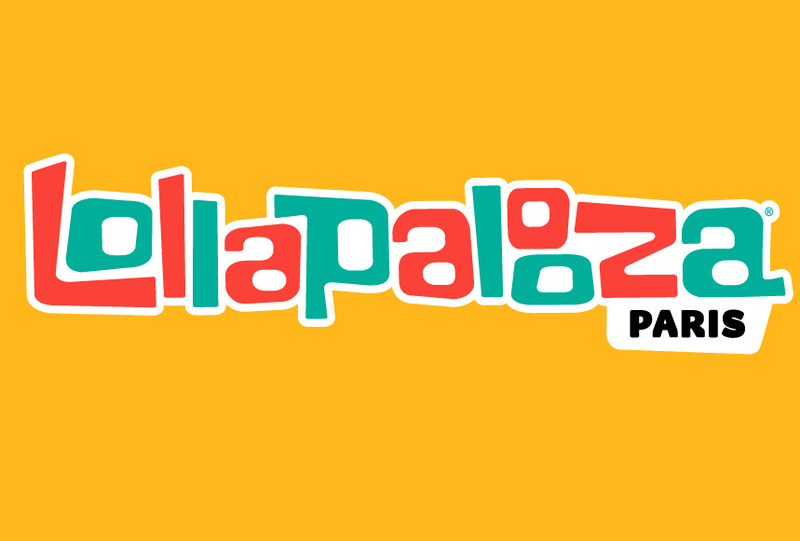 This ticket allows access to Lollapalooza Paris 2019, Sunday 21st of July. Bring your child with you and let them experience Kidzapalooza both Saturday 20th and Sunday 21st of July. Bring your child with you and let them experience Kidzapalooza, Saturday 20th of July. Bring your child with you and let them experience Kidzapalooza, Sunday 21st of July. Friendly-sized nature campsite, in a beautiful natural location in the heart of a delightful region that is just waiting to be explored. 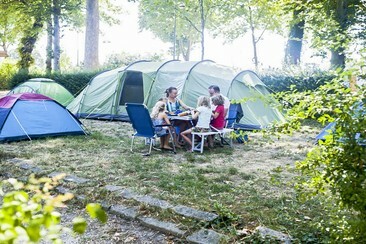 In order to respect this camping spirit, Indigo Campsites has a large number of 'traditional' pitches on its sites, without rental accommodation, for real campers: campers looking to set up their tent, caravan or motorhome on a lovely pitch and enjoy their holiday at their own pace, whilst making the most of the quality facilities (friendly bar-restaurant or snack wagon, central lodge, children's playground, swimming pool or bathing area). Indigo Campsites have recent, comfortable shower blocks (baby changing areas, family cubicles, etc.) and toilet facilities built using a simple design and building materials. Set up camp on one of the spacious pitches, that is marked out by the natural vegetation of the site. Wifi is available at the campsite reception. 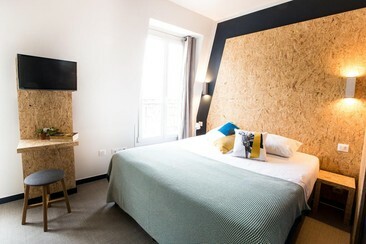 In a characteristic and historic district of Paris, the Beautiful Belleville is a new generation hotel-hostel with warm, lively and modern décor. 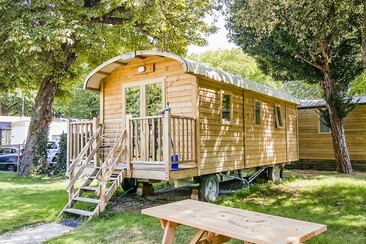 There is a 24-hour front desk at the property and Buttes Chaumont Park is 400 m away. From here, guests can enjoy easy access to all that the lively city has to offer. With its convenient location, the hotel offers easy access to the city's must-see destinations. It offers single or double private rooms that boast all the comforts of a hotel. 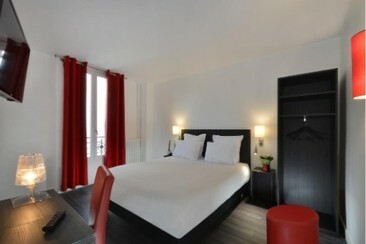 All rooms at Beautiful Belleville Hôtel & Hostel are serviced by a lift. 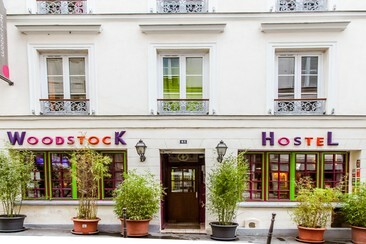 Woodstock Hostel is known for its cosiness as well as for its party atmosphere, and is the ideal place to meet other backpackers and to make lifelong friends. Woodstock is much more than a hostel, it’s a way of life. Here we know your name and you will know ours. The hostel is just a 5-minute walk from Anvers Metro Station (Line 2), which gives you direct access to Pigalle area and the Arc de Triomphe. Opéra Garnier is 1.3 km from Woodstock Hostel, while Place de la République is 2 km from the property. 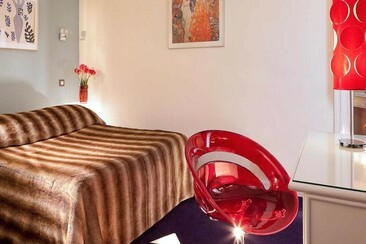 The colourful dormitory rooms are heated and have parquet flooring. You will have access to shared bathroom facilities. This hostel features a street art-inspired décor and an on-site bar. Free WiFi is available throughout and there is a 24-hour front desk. Bars and restaurants can be found in the same street of the hostel. Lodged in stunning 17th Century buildings, Mije Fourcy hostel is located at the centre of the beautiful Marais district, just 1 minute walk to the closest Metro station & a 10-minute walk from Notre-Dame, the Seine, Ile Saint-Louis, the Opéra Bastille, the Pompidou Center and the Picasso Museum. The bedrooms are private or shared, with washbasin and shower. Please note that there are no mixed gender dorms. Beds are made on arrival and rooms are cleaned daily. Towels are not provided. 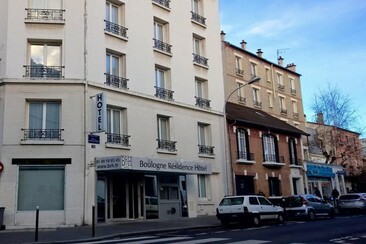 B&B Hotel Paris Gennevilliers Asnieres is located in the very heart of the Hauts-de-Seine in Gennevilliers and just alongside the public transport network. It is also 2.1 km from Gennevilliers Town Hall and 4 km away from Alliance Healthcare Headquarters. This hotel is also close to the terminus of the T1 Tram at Les Courtilles station. At the hotel, every room comes with a desk, a flat-screen TV, wardrobe, and a private bathroom. Travellers who want to take in the sights and sounds of Paris, Melon District Paris La Defense is a perfect choice. The hotel is located in Puteaux, just a 10-minute walk from the La Défense business district. Esplanade de la Défense Metro Station is 750 m away and offers direct access to the centre of Paris just only 9 km away. With its convenient location, the hotel offers easy access to the city's must-see destinations. The hotel offers a vast array of services, including free Wi-Fi in all rooms, 24-hour security, laundromat, taxi service, wheelchair accessible and breakfast which is served each morning and guests can benefit from the reduced rate by booking breakfast in advance. The bright rooms with simple furnishings have cable flat-screen TVs, wardrobe and safety deposit box; some offer Juliet balconies. Studios provide kitchenettes and sitting areas. The private bathroom includes a shower and free toiletries. 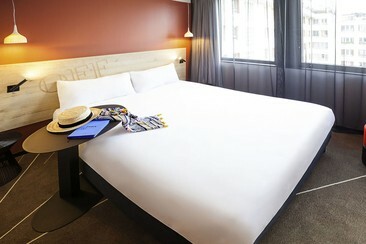 The ibis Styles Paris 16 Boulogne hotel is ideally located near Porte de Saint-Cloud metro station, in the heart of the Boulogne, Issy-les-Moulineaux and Paris 16 business districts. 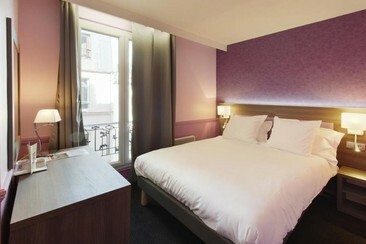 ibis Styles Paris 16 Boulogne features rooms with air conditioning and a private bathroom in Paris. All rooms offer complimentary wireless Internet access, a flat-screen TV with cable channels and free bottled water. This Paris hotel also offers a library, a garden and coffee/tea in common area. 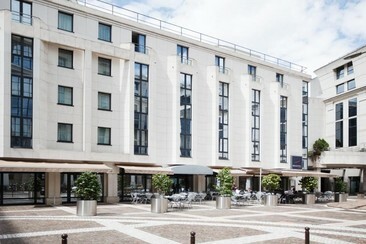 Boulogne Résidence Hotel is located close to the center of Boulogne-Billancourt. La Seine Musicale Cultural Centre can be found 1.6 km away. Paris Expo Porte de Versailles Exhibition Centre is 3.4 km away. Marcel Sembat Metro Station on line 9 is 400 m from the property. The hotel offers self-catering accommodation, a continental breakfast, a front desk, laundry facilities and parking (surcharge). The rooms at Boulogne Résidence Hotel feature satellite TV, microwave and minibar, ironing facilities, and the private bathrooms are complete with a bathtub and hairdryer. The studios also provide a kitchenette. Hotel Vivaldi is pleased to welcome you a stone’s throw from La Défense business district and just a few metres from the métro « Esplanade de la Défense » (line 1) which is 5 stops from the Arc de Triomphe and also serves the Champs-Élysées, the Tuileries, Palais Royal, and the Louvre museum. 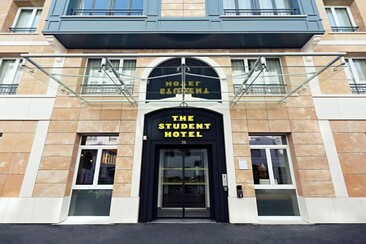 The hotel is just a 5-minute walk from Seine River. The guest rooms provide free Wi-Fi and flat-screen TVs with satellite channels, as well as minibars and air conditioning. Some feature bathtubs. Hotel Ohm by HappyCulture is located in a residential area, just a 5-minute walk from Porte de Saint-Cloud metro station and a 30-minute walk from Bois de Boulogne. 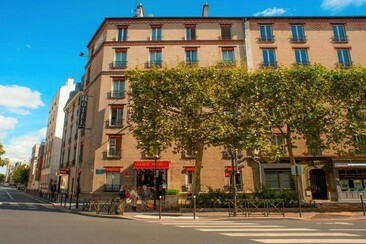 The hotel is about 4 km away from the Eiffel Tower and 5 km away from the Arc de Triomphe. Local transport links lead directly to the city centre and Galeries Lafayette department store. The air-conditioned rooms at the hotel are decorated in a contemporary and vintage style. They all look onto the street or the little courtyard. Hotel Olympic by Patrick Hayat is set in Boulogne-Billancourt, just a step away from Roland Garros and the Parc des Princes Stadiums. La Seine Musicale Cultural Centre can be found 1.9 km away. 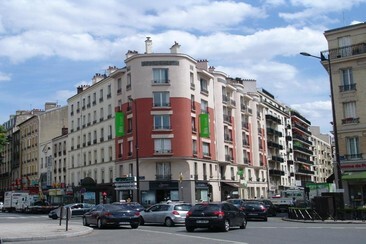 The Shopping Center les Passages is 500 m from the hotel, while Ambroise Paré Hospital is 1.5 km away. The Museum of the Thirties with Sun Yat-Sen sculpture is 600 m away. The nearest airport is Orly Airport, 15 km away. Paris Expo Porte de Versailles Exhibition Centre is 3.6 km from the property and can be reached within 35 minutes thanks to public transport. Every room has been carefully decorated in clay tones, letting the clients discover surprising details such as tennis nets, tennis baskets, grass…The rooms are fully equipped with free Wi-Fi, HD TV, hairdryer and safe boxes. A patio is as well at your disposal to relax in a quiet atmosphere. 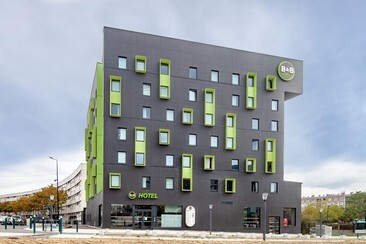 On the outskirts of Paris, ibis Styles Paris Boulogne Marcel Sembat is ideally located. Only 5 minutes from the Paris metro and near to avenue Edouard Vaillant, enable you to take advantage of a number of tourist attractions, including the Eiffel Tower, the Champs Elysées and the Louvre. This air-conditioned hotel offers rooms with flat-screen TV Canal + and Bein Sports, a free bottle of water upon arrival, free Wi-Fi and a private bathroom. Other amenities include express check-in, express check-out and multilingual staff. 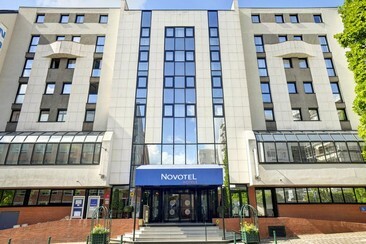 Situated near the St Cloud and Boulogne Billancourt parks near the centre of Paris, Novotel Pont de Sevres offers comfortable accommodation and modern facilities. Guest rooms are spacious and contemporary in design. 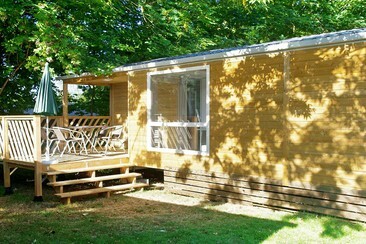 They are equipped with modern en suite facilities, a TV and a work area. They provide a cosy living space for your stay. The Novotel Café offers contemporary French cuisine and an à la carte service 24/7. Novotel Paris Pont de Sevres is ideally located 25 minutes from the Eiffel Tower, 5 minutes from Issy les Moulineaux, 10 minutes from La Défense and 20 minutes from the Opéra. It is well connected to the centre of Paris by public transport (bus, Metro and RER). The Novotel Paris Suresnes hotel is ideally located just 10 min from La Défense and Porte Maillot. From Esplanade de La Défense station, metro line 1 will take you to the heart of Paris and the Champs-Elysées in only 15 min. Easy access by car from the banks of the Seine. The rooms at this 4-star hotel are spacious and comfortable and include free WiFi. The hotel boasts a cozy bar, a bright restaurant, a play area for children and a private paying car park. The 3-star Hotel Douglas is ideally located at the foot of the train station Puteaux (30 m) allowing direct and fast access to many geographical places (Near Metro line 1 and Line L and Gare Saint Lazare). The tram will take you to Versailles Exhibition Centre in 25 minutes. The hotel is located near the La Defense business district, 2 minutes away and a 10-minute drive from U Arena. The Eiffel Tower is 20 minutes away, via public transportation and La Seine Musicale Cultural Centre is a 15-minute drive from the hotel. In the hotel, bright, airy rooms with relaxed furnishings feature flat-screen TVs and desks. Amenities also include a private bathroom, safety deposit box, and free WiFi. Continental breakfast (fee) is served in a casual dining room. 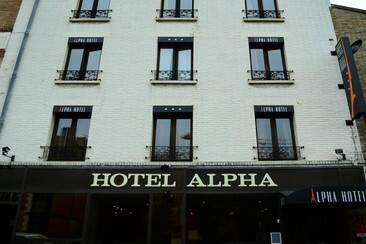 Hotel Alpha Paris Tour Eiffel is located in Boulogne-Billancourt, 100 m from Marcel Sembat Metro Station, which leads directly to the Eiffel Tower in Paris. 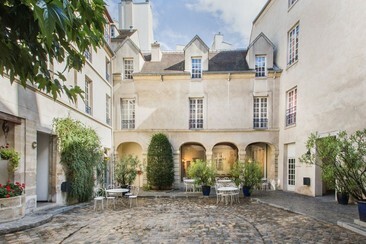 This property is a 10-minute walk from the Parc des Princes Stadium and a 15-minute walk from the River Seine. La Seine Musicale Cultural Centre can be found 2.1 km away. The Longchamp Racecourse is 2 km away. Paris Expo Porte de Versailles Exhibition Centre is 3.6 km from the property and can be reached within 30 minutes thanks to public transport. The hotel offers peaceful, comfortable and fully equipped rooms with free high-speed WiFi, LCD satellite TV. A private bathroom with a hairdryer and a bath or shower is provided. This Hôtel Poussin 3-star hotel is bordering the Bois de Boulogne, a peaceful spot well located in relation to the Parisian monuments. It is near Roland Garros and the Parc des Princes stadium, the racetracks of Longchamp and Auteuil and the Parc des Expositions at Porte de Versailles. Amenities include LCD TV, en-suite bathroom with bath or shower and Wi-fi Internet. 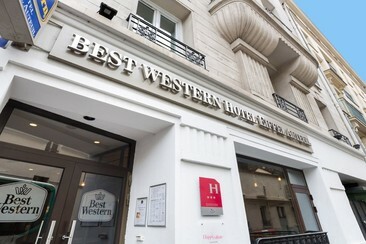 This 4-star hotel located in the heart of Boulogne, the western business district of Paris stands in the Boulogne-Billancourt area between the 2 congress centers in Porte Maillot and Porte de Versailles. 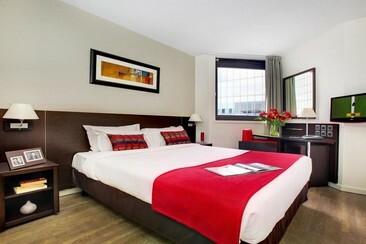 The hotel is also near famous tourist sites such as the Eiffel Tower, the Arc de Triomphe and the Louvre Museum. Amenities include air-conditioning, safety deposit box, TV and bathroom. Free Wifi, bar and fitness are provided. 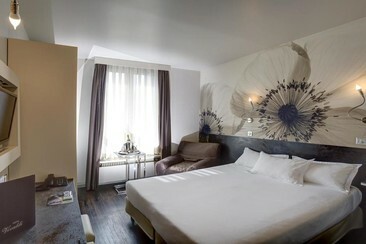 Le Hameau de Passy is small hotel with 30 bedrooms halfway between a charming hotel and a design hotel. It is entirely renovated and decorated in a vintage style. The hotel is located on rue de Passy, a shopping street filled with beautiful boutiques in one of the most sophisticated areas in Paris : the 16th arrondissement with no shortage of cafes and restaurants with outdoor terraces and pretty shops. It is near the underground stations Passy on line 6 and La Muette on line 9. Only a 10-minute metro ride from the Champs-Elysées, this Citadines aparthotel is located in the La Defense business district in West Paris. It offers self-catering apartments, free Wi-Fi access and a 24-hour front desk. The apartments at Citadines La Défense Paris are equipped with a private bathroom, telephone and satellite TV. Each apartment has a kitchen with a stove, microwave, refrigerator and dishwasher. Lollapalooza Paris is a huge multi-genre music festival held in the capital city of France which forms part of the famous global festival family. As with all Lollapalooza festivals across the globe, the Parisian version boasts a lineup of global superstars from a diverse mix of genres. After two editions, the festival is looking to really stamp its mark on the French festival scene for years to come.